Those countries that are not American tend to spend a considerable amount of money and energy trying to define how their nation’s cinema is distinct, and different from Hollywood. No doubt, part of it stems from Hollywood so completely dominating global audiences and critical attention, at the expense of other types of cinema. Yet right from the outset, cinema has also been held to express national identities. German expressionism (a greatly exaggerated, but fascinating movement) was meant to reflect war-weary and despairing post-WW1 Germany, while the Soviets immediately utilised the power of cinema for political ends in the 1920s. As Hollywood’s dominance has increased, many nations have also tried to set up “national” cinemas which show the individual nation’s stories that would otherwise be ignored by its populace – whether it be New Zealand’s legislative attempts through the Film Commission, or South Korea’s quota system which meant that only Korean films could appear at the cinema on certain days. Film is, after all, meant to be a powerful medium to explore one’s nationhood. This is obviously a problematic idea – a nation is never a unified concept, and lumping an arbitrary group of individuals into a bunch of shared characteristics is doomed to ignore diversity and differences. Such a concept is ultimately a subjective construct. Even countries in which the government has been particularly prescriptive of what films can be made, can hardly be said to be unified. Places like the Soviet Union, Hungary, Cuba and Czechoslovakia made some of the most radical cinema in the 1960s in spite of the film’s supposed political imperatives. Yet “national cinemas” have proven a popular way to describe films of a particular country that are meant to have a shared characteristic. But what happens when a country is told that it doesn’t even exist – like Taiwan? Taiwan had a particularly turbulent time in the 20th century. Formerly a Dutch and Chinese colony, the island off mainland China was occupied by the Japanese for fifty years until the end of WW IIT. The Chinese Civil War pushed Chiang Kai-shek and two million of his supporters onto the island. Chiang Kai-shek took control of the island, repressively, and held power for forty years. The cultural clashes that occurred between Taiwan’s new residents and the Han Chinese who had lived on the island for centuries….and also with the indigenous aboriginal population which had lived on the island for even longer, led to considerable cultural dislocation. Taiwan’s awkward status was supported by the West for a number of decades, as the Cold War meant mainland China wasn’t recognised by countries like the US or England. In the 1970s however, China started gaining political clout and Taiwan was consequently “swapped” at the UN by China, and its Western support became much more tempered. The constant sniping by mainland China over Taiwan’s status would naturally have an ongoing impact, despite Taiwan’s overall resilience and economic development. In effect, with the changes in the ‘70s though, Taiwan became a non-country, which politically at least didn’t exist. It was within cultural and political void that the Taiwanese New Wave emerged during the 1980s. Filmmakers such as Edward Yang, Hsiao-hsien Hou, Tsai Ming-Liang and – perhaps most the well-known, Ang Lee – started making personal and idiosyncratic films, trying to turn Taiwan’s cinema away from the melodramas and martial films which had previously dominated production. These personal stories were meant to articulate a more contemporary Taiwan, to show a nation in development, rather than simply that of a nation cribbing off Hong Kong genre staples (though, this idea of ‘borrowing’ is explored below). The movement was only seen to have lived for four years between 1983-1987, the year that martial law was lifted for the first time since Chiang Kai-shek assumed power. However, these four filmmakers became critical favoutites and and some instances enjoyed commercial success. Two epic magnum opuses (and in my view, two of the greatest films of all-time) stand out from immediately after this period : Hou’s 1989 film A City of Sadness, and Edward Yang’s A Brighter Summer Day (1991). These films attempted to grapple with the cultural and social conflicts which helped define Taiwan, and offered the directors’ interpretations of Taiwan’s fraught national identity. 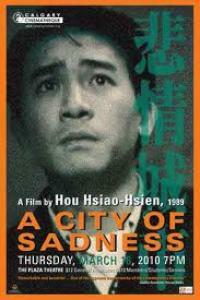 A City of Sadness is set during the island’s transfer from Japanese hands into Chiang Kai-shek’s iron grip. Hou’s films are noted for the fiercely subjective outlook, and frequently focus on the impact of history on individuals. A City of Sadness specifically dealt with the traumatic handover, and for the first time in the nation’s history it depicted on film the violent consequences. Specifically, it featured the frighteningly titled “228 Incident” (1947), in which thousands of Taiwanese were massacred by the government forces. The film focused specifically on one family, a family which bore a terrible price for Taiwan’s changes. Hou presented the violence and events obliquely – he’s more interested in the consequences, than in the violence itself. The film’s protagonist was mute and deaf, and Hou used him to represent a Taiwan which was unable to articulate its own identity. (This concept came from the fact the actor, the great Hong Kong actor Tony Leung, couldn’t speak what would have been the 1940s Japanese-inflected Taiwanese). The film was shot in a ghost town, literally bringing back life to the past. Hou also focused on images of landscape and the countryside – a far cry from the tiger economy and urban landscapes of modern day Taiwan. And unlike many historical films which close off their storyline (e.g. the film is purely a document of a once upon a time), Hou’s open ended and hopeful narrative left room for the viewer to determine the impact of the film’s tragic events on the ensuing Taiwanese nation. 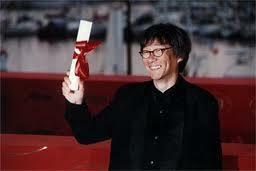 The film, as a result, became a big box office success in Taiwan, and sealed Hou’s reputation worldwide following the film’s victory at the Venice Film Festival. T he 1991 film A Brighter Summer Day by Edward Yang (pictured left) is even longer, and even more sprawling. 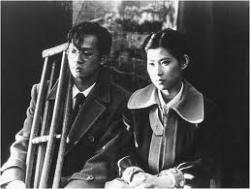 The film is set in the generation immediately after the one depicted Hou’s A City of Sadness. Set in the course of a school year, the film focuses of doomed teenage romance, teenage gangs, and repressive governments – a ridiculously ambitious movie which manages to make its four hours feel too short. The features a cast of over one hundred, yet never feels bogged down by the sheer scale of the proceedings, and the epic nature of the film is necessary for Yang’s representation of the Taiwan of his childhood. The film’s title is one of the greatest in all cinema – “a brighter summer day” is a purposeful mis-translation of a line from Elvis Presley’s song “Are You Lonesome Tonight”. The film suggests that Taiwan’s identity has been picked off other culture, resulting from Taiwan’s cultural uncertainty and later “transnational” status (e.g. its identity is defined through its relation to others). The title specifically shows how such an identity has been mistranslated, misconceived, mistaken, but also crucially, has also been personal, self-empowering and necessary. Yang presents highly disaffected youths (specifically those who moved over from China) whose resulting lack of identity led to the formation of gangs, adoption of American cultures, and outright alienation. Yang’s Taiwan is particularly unstable – murky colours, fragile senses of light and darkness (there are lots of shots of flickering lights, torches, light-bulbs, etc. ), and characters trapped within long, precise takes. Both films’ soundtracks captures this feeling of transience – half-hidden broadcasts, characters who would rather sing than speak, individuals unable to articulate their feelings – the trauma of Taiwan is quite literally heard almost for the first time in these films. These films show the violence and the cultural conflicts which the directors believed helped construct the nation of Taiwan today. The films urge a reconciliation of the past by those in contemporary times. And by these films’ rigorous focus on individuals and subjective points of view, the films avoid the failure that many other films make when self-consciously trying to define a nation on behalf of ‘everybody’ in that nation. Even if, as these films themselves suggest, that that concept of the nation is a transitive and problematic concept. Footnote : Neither of these two masterpieces are available on DVD. This in part reflects Yang’s distaste for commercial cinema (in fact only his last film Yi Yi is available on DVD), but given the critical adulation at least that exists for these two films, it’s a surprising and saddening omission.